Summer in Niseko. Have you heard about it yet? 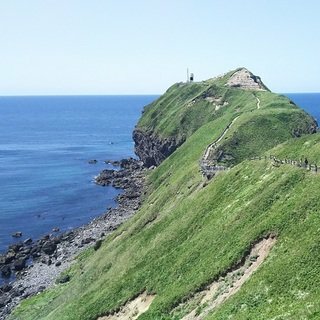 You may only know about Niseko or even Hokkaido for its strong winters and deep powder skiing, however, summer is finally getting noticed on Japan’s north island. The mild and clear weather creates a perfect environment for a slew of outdoor activities, but one, in particular, is booming in popularity: Cycling! This is key to cycling’s popularity in Niseko. 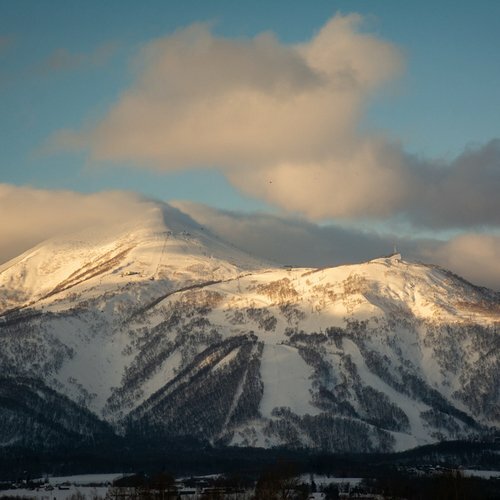 The weather in Niseko’s summer is some of the best you will find in all of Asia. 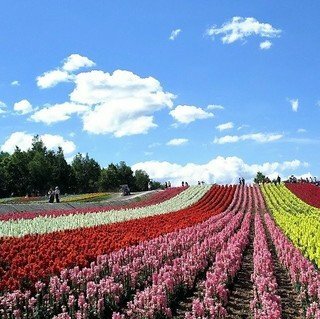 Located far enough north, Hokkaido is in the perfect position to dodge the rain season that plagues the rest of Japan during the summer months. This creates a very pleasant cycling atmosphere, with clean air that is not too humid like the south. Also, for such a snowy and stormy place in winter, Niseko boasts very clear summers. Clear, mild temperatures, and no humidity. 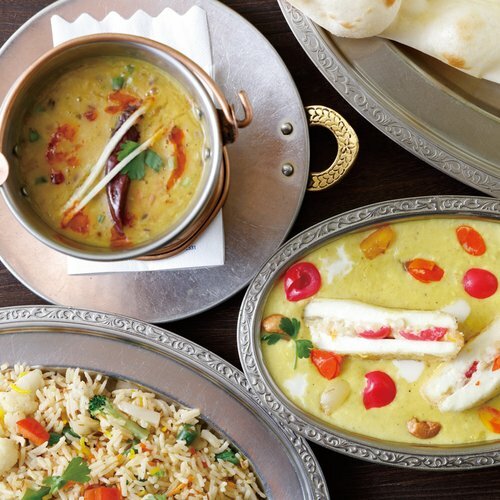 An anomaly in Asia. There really is no other word to describe Niseko's cycling weather in summer other than “perfect”. 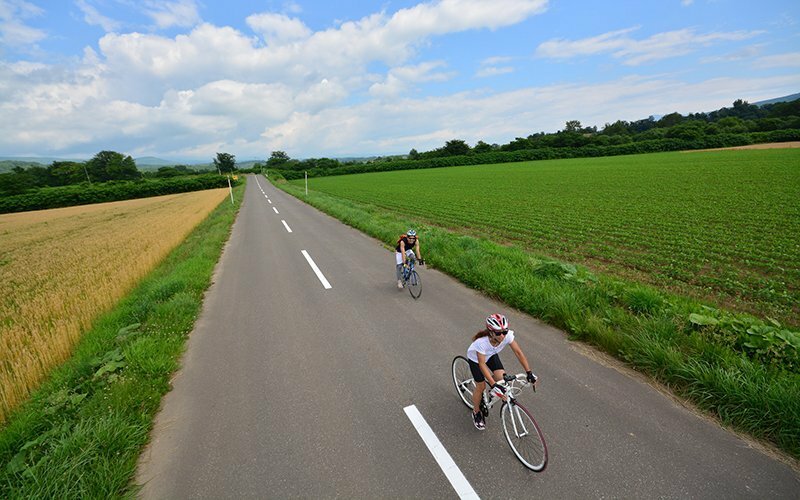 Niseko's roads are a cyclist’s dream during the summer months. Long, flowing, and winding around spectacular natural scenery. There are routes for every style and ability as well. From flat circuits to aggressive hill climbs up into the mountains, you can find everything you are looking for in one central location. Moreover, the roads are properly maintained in true Japanese style. 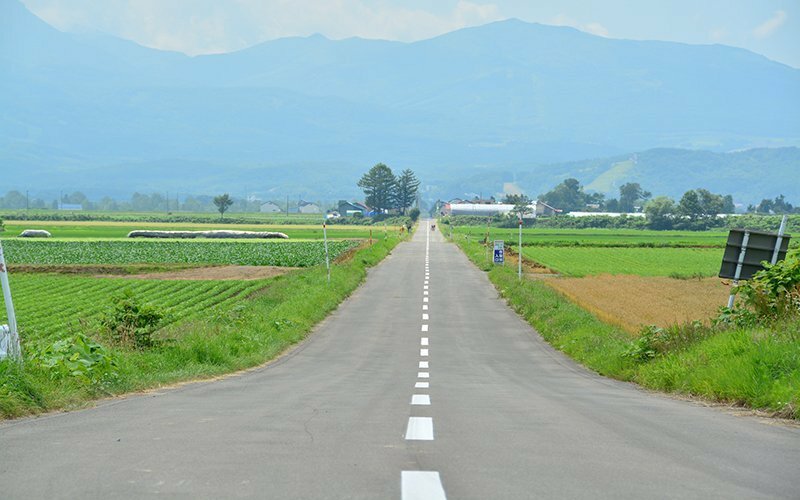 Smooth roads ensure a relaxing ride around the green Niseko countryside. Another important aspect of road cycling is who you are sharing the road with. If there are too many cars on the road then this simple and fun activity can turn dangerous quickly. Fortunately, Niseko is very quiet during the summer months. This means fewer cars on the road, so you can relax on your ride. 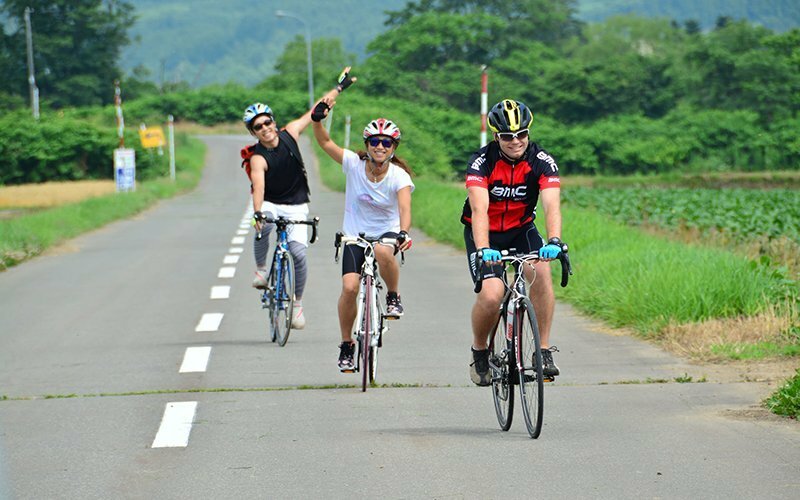 Since cycling is gaining so much popularity in Niseko drivers are aware and happy to share the road with those on two wheels. 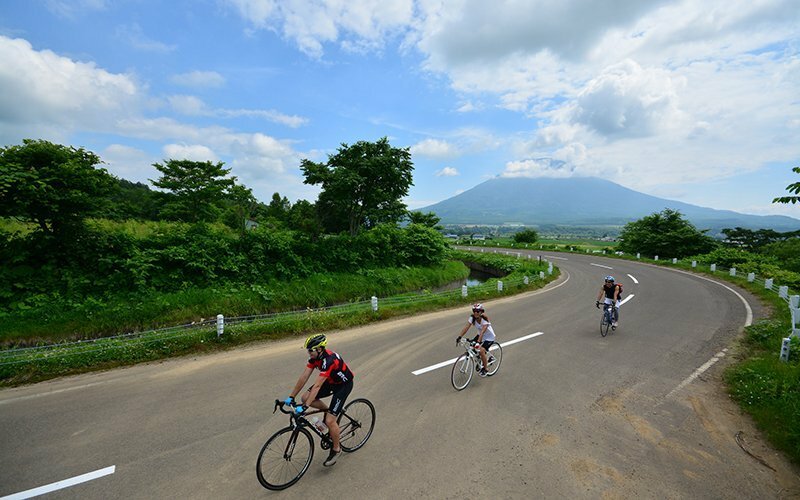 The beauty of road cycling in Niseko is that it can be as challenging or relaxing as you want. Take an aggressive steep route to the top of a mountain pass, ride laps around Mt. Yotei, or have a short ride to Milk Kobo to get an afternoon snack. There are also a plethora of onsen to choose from in the area, so we highly recommend riding to one, relaxing the hot spring and having a nice lunch, and then riding home. 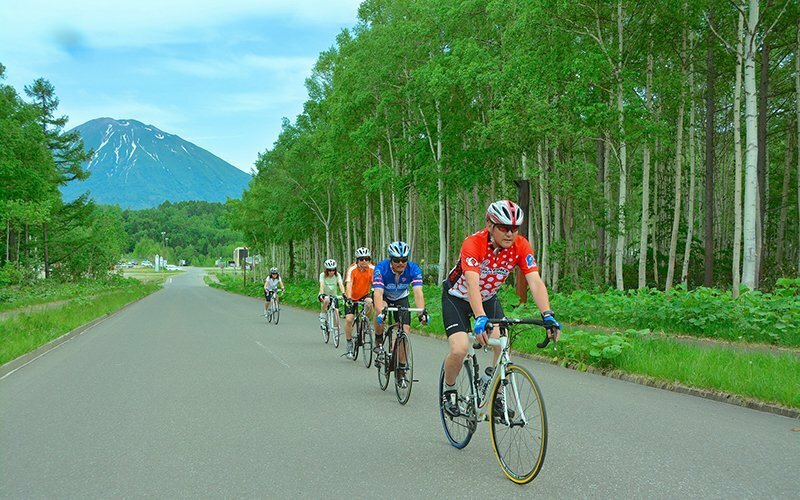 It’s a unique and perfect way to enjoy Niseko’s natural beauty by bike. 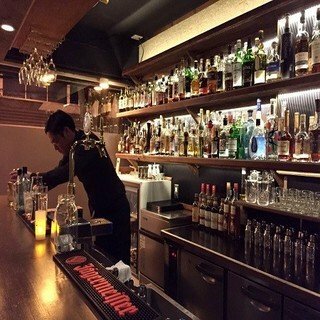 It’s not only road cycling that is booming in Niseko. The mountain biking scene is growing very quickly. Although development is still small, the potential for Niseko to become a famous mountain bike destination is there. The ski lift infrastructure and rolling slopes make perfect terrain for downhill riders. Currently, Grand Hirafu offers 2 courses off of their lifts. An exciting downhill course and a more mellow flow course. Also, a fun and flowy cross-country course is built every summer in Ginto village and is free of charge! 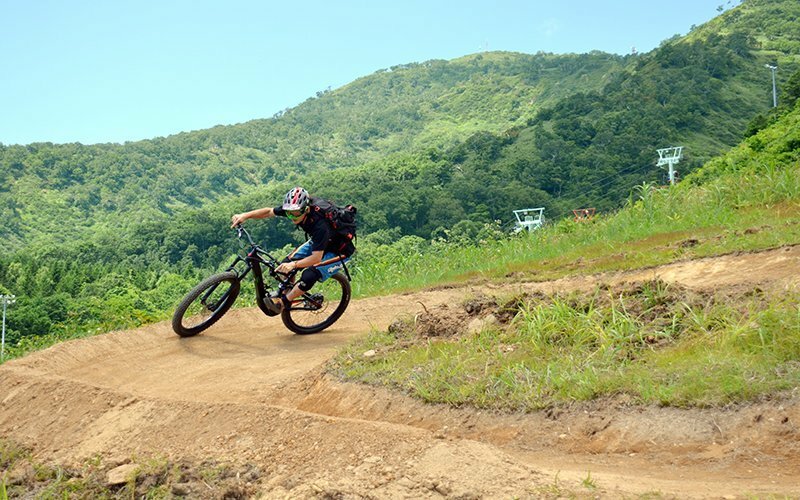 Developments for more mountain biking are on the horizon, so keep your eye out on the Niseko MTB scene! 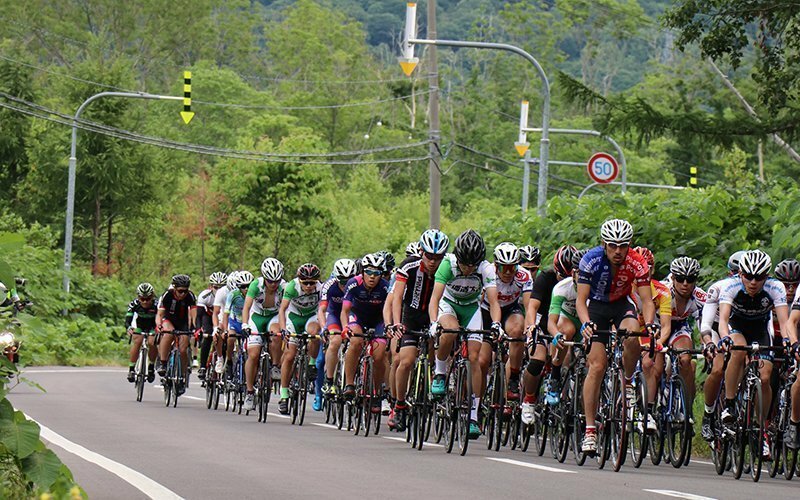 This annual cycling race is the biggest in Niseko! The 140km road race course includes 2,362m of vertical, with the 70km race offering a challenging 1,125m of climbing. 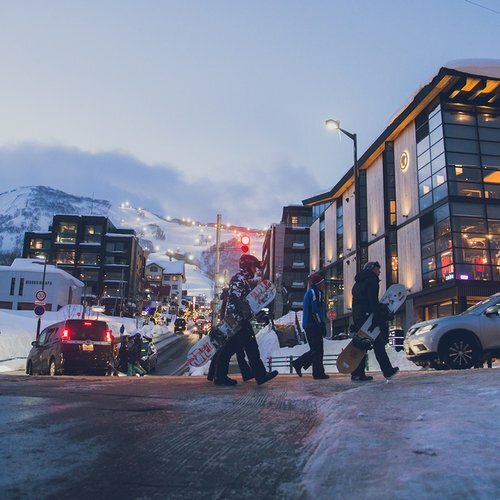 Both races finish in the Niseko Hirafu Resort – including KOM and Sprint challenges, there are prizes for all age categories, with mechanical support and product demo available during race weekend. The 140km and 70km races are official UCI Gran Fondo World Series qualifier events and are supervised by the Japan Cycling Federation. 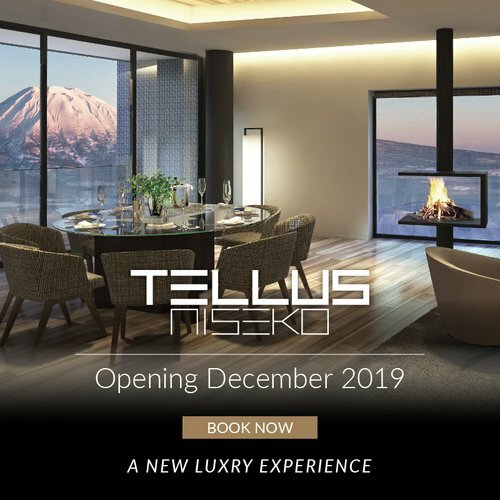 Booking is now open on the Niseko Classic website! Vacation Niseko is happy to offer a special accommodation discount for the dates of the big race. This intense yet rewarding race has something for everyone! It starts in Kutchan at the Jaga Matsuri (Potato Festival) so there are plenty of performances and activities to participate in if you are not racing. Check out the recap of the event on Hanazono's blog. The cutest and one of the most popular races “STRIDER Enjoy Cup” is taking place this summer in Niseko as "Niseko Stage". 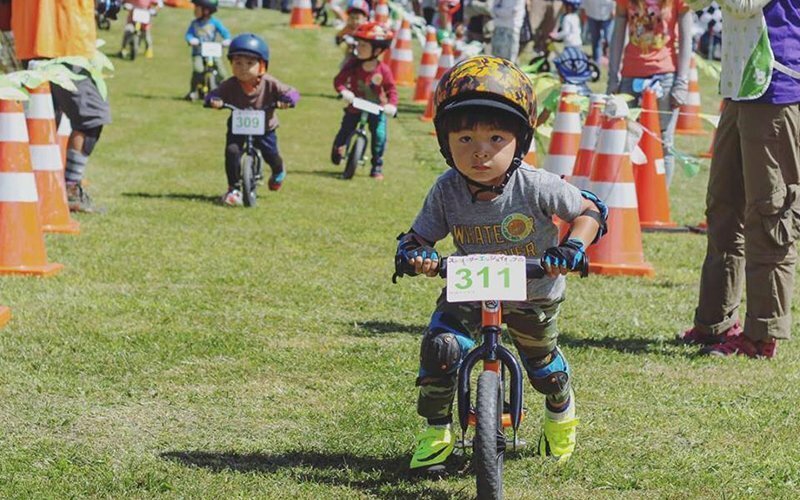 The STRIDER Cup is also known as the world’s youngest riders’ race. More information available on the Strider Enjoy Cup Facebook page.